← I Get The Best Thank-You Notes! 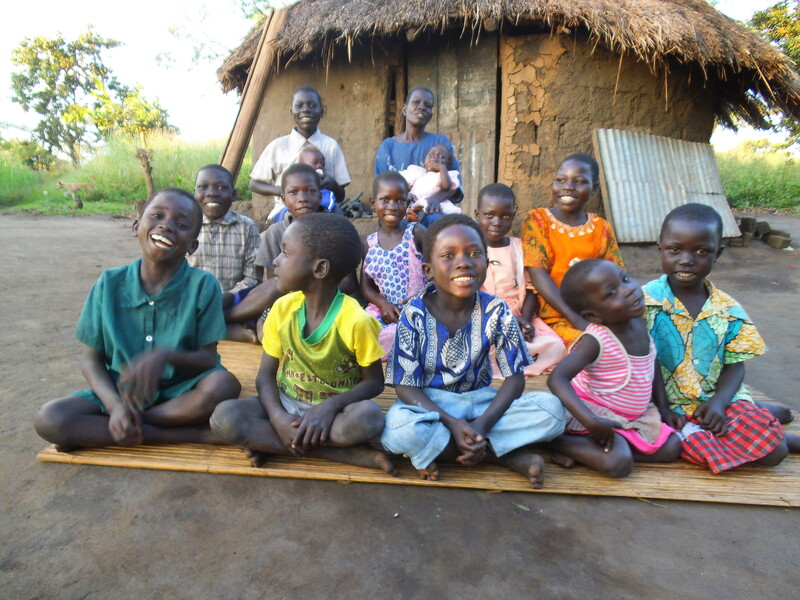 Bryan and Drea Thiele and a group of three others visited Pastor Experito in Gulu in October. They asked to meet some of the families who live in Kochgoma, whose children can attend the school, as the school grows. Today was a long day full of joy, sorrow, sad stories, some victorious, some with no hope. Kochgoma is about 2 hours in the bush outside of Gulu (Northern Uganda). The people here have been so affected by the LRA (Lord’s Resistance Army) and most have nothing. No food, one pair of clothes, no soap, no work, no land and no home. The children are mistreated or unwanted due to a parent’s inability to provide for them. Some have no parents at all. Today I met with Martina, a widow, whose husband died years ago. She had three children, 2 boys and a girl. Her daughter died last month of HIV/AIDS. She now cares for 15 children, as her daughter-in-laws and their children also live with her, and her two sons leave often. 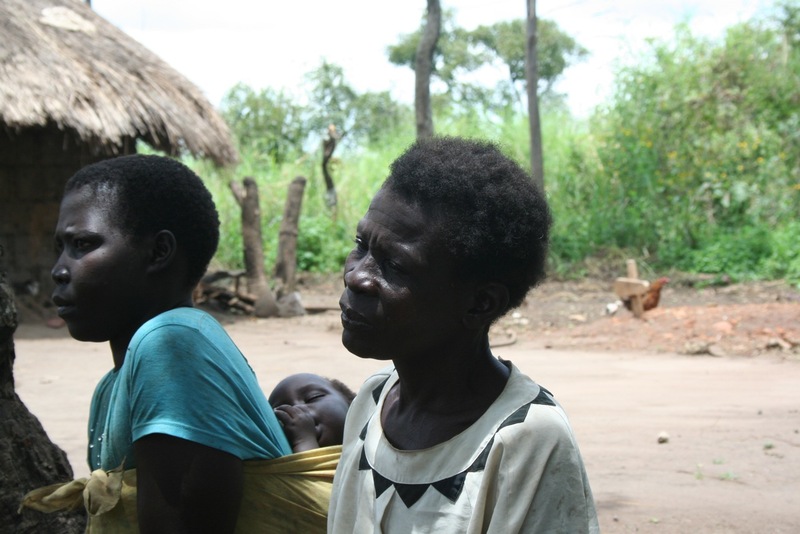 She has been seriously affected by the war and the LRA rebels. She is having a hard time because she is old and can’t work and farm like others can. Her small garden is dried up, and her hut leaks. She has very little food and only the clothes on her back. Her daughter’s grave is just a few feet from her mud hut, with a simple home-made wooden cross. Martina’s hope is Jesus. She became a born again believer when she was young. 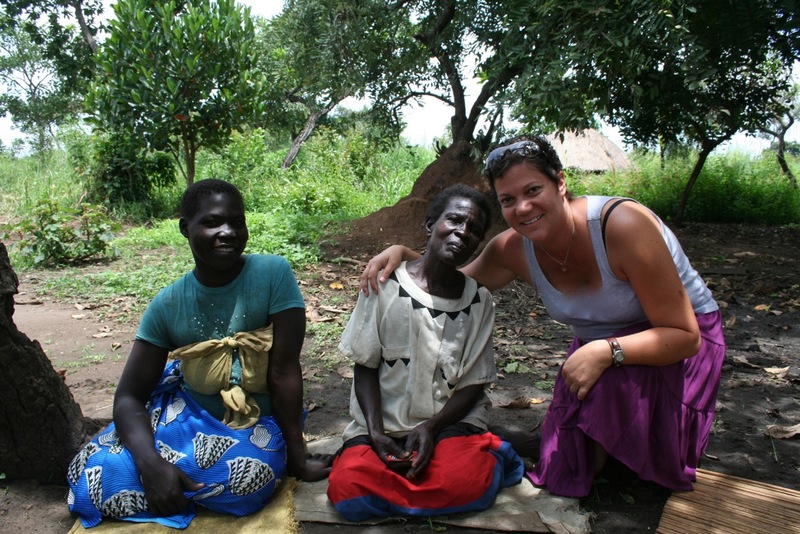 She lost most of her relatives in the LRA rebel war, and grew up virtually alone. Her heart was so troubled, but the Lord spoke to her and said, “Don’t be troubled, you will make it through.” Her miracle is “JOY” she says. Even looking at the cross where her daughter is buried, she still has joy. 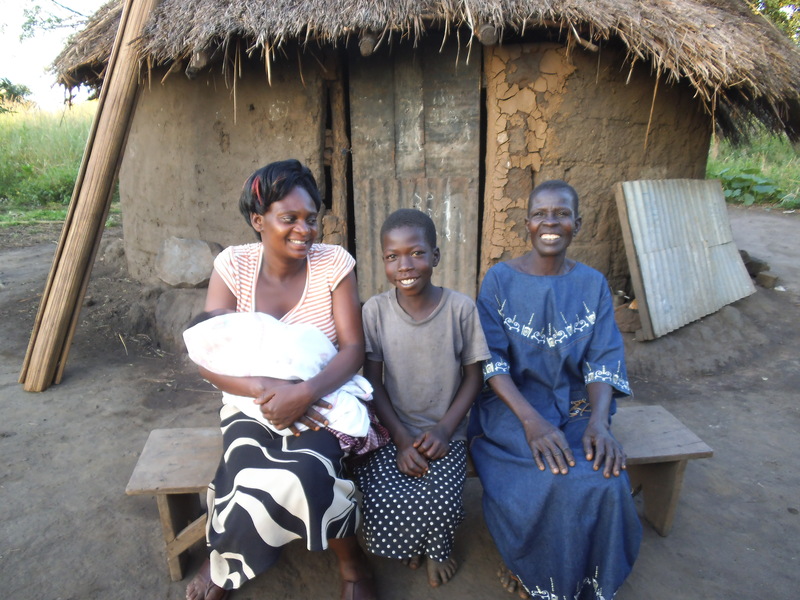 Her grandchildren cannot attend school because they have no money for school fees, but Martina still has joy! Her granddaughter, Prisca, spent the majority of her day with me. She was leaning on me, playing with my fingers and cuddling with me. I learned later that it was her mom who had just died. I was so blessed to be able to give her love and attention as she has to be mourning the loss of her mom. Today the Lord has filled us with unspeakable joy! Joy to do His work. Watching these glorious servants of God, fills us also with hope! Hope to keep going, hope to know that this life is for one purpose only, hope to be the hands and feet of Jesus, the whole earth filled with his glory! Upon Bryan and Drea’s return to the U.S., we have had ongoing communication with Experito about how we can best help him and Justine and their church serve this widow and her grandchildren. Experito Nov 1: Helping Martina would be one of the most burden lifting moments for her and quite yoke breaking. She has been one of the families we help weekly with foodstuffs because of her limited ability to cultivate sufficient food supplies for such a huge extended family! Martina spoke to Drea about her leaking grass thatched house. Apparently it wears her down to keep looking for the scarce grass to thatch her roof seasonally. For several years we have been talking with Experito about a Habitat for Humanity type project in Kochgoma. (The community and residents provides the labor, and others, like us, provide the money for materials). It is his desire, and therefore ours as well, to see the community freed from the chains of slavery to finding and hauling clean water. The best way to do that is through housing that has iron sheet roofing. Water is channeled from the iron sheet roof, down the rain gutters, into the water tank. They use this for their water source, rather than walking miles to pump it, and walking miles to haul a few gallons back to their hut. We therefore asked him if a house would be appropriate for Martina and her 15 children. Experito Nov 2: We thank God that he has brought you in our way to partner that we can together do whatever we could for the economically vulnerable. My wife has always been praying for them to have a better living condition. I must confess that you are stepping in as an answer to Justine’s daily heart cry. Please Drea you have made us to genuinely appreciate the unfathomable love of God by feeling what we have been feeling for the least in society. It encourages us more to know that we are not alone but an army of God to bring the goodness of God to whom it had been denied. It sometimes emotionally drains us to see that we are helpless. However, praise be to God who cares. A house shall take Martina leaps and bounds with her extended family. Experito Nov 8: I was able to visit Martina and her grandkids. They are supposed to be 15 in her care but the two had been taken to hospital because they were sick. They were not available for our camera and conversation. It was only 13 available as you can see in the picture. About the house, I shared the opportunity to some members of the community and they have showed interest to come and provide manual labour when time comes for construction. Martina is currying this burden of these kids because five of them have no father and mother. Three of them the mother is dead but their father became mentally derailed and his father is as well very ill. The other kids have mothers and the fathers whose whereabouts are unknown. Justine and I are praying that Martina will receive good-hearted people to help uplift her state of living conditions as well as the little kids get educated. Experito Nov 12: We will be extremely delighted to see Martina’s family advance to a good standard of living. The house is intended to have 4 bedrooms. There will be a pit latrine bathroom outside. The house shall be built with bricks, doors, windows, and iron sheets (for roofing). It shall be plastered and painted, with a water harvest tank constructed as well. With the size of Martina’s family, a house of $30,000, which shall include a water harvest tank, might be appropriate. 100% of any donations go directly to Africa. If you would like to donate toward Martina’s home, please send a note with your donation. 100% of your gift will go toward her home. We’ll be taking pictures and hopefully video to provide updates on progress. Martina with her daughter in law….you can see the fresh grave of her daughter in the back ground. Martina and 13 of the 15 children in her care. This entry was posted in Updates, Updates from Andrea, Updates from Experito and tagged Aids, Gods Joy, Gulu, HIV, hunger, Jesus, Kochgoma, Lord's Resistance Army, LRA, needs. Bookmark the permalink.